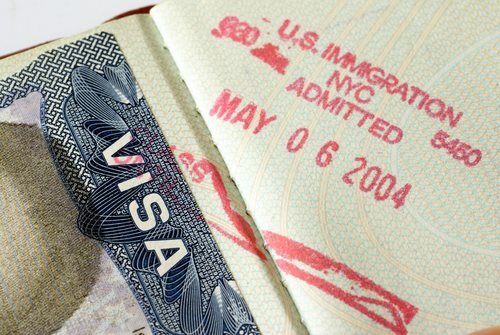 What is anH3 Trainee Visa? AnH3 Trainee Visais a form of expressed permission allowing an individual to legally and lawfully enter the United States through the desire to receive professional training by a company or business existing within the United States; this permission is granted by the governmental immigration department controlled by that specific country. Although H3 Trainee Visasdiffer in description, duration of time allowed for temporary residence, as well as the stipulations listed within the visa itself, the satisfaction of specific visa applications and requirements are mandatory prior to obtaining an H3 Trainee Visa. The following are the forms required to be completed upon applying for an H3 Trainee Visa; these forms can be attained at the United States Citizenship and Immigration Services Bureau by contacting them at their toll-free telephone number (800) 375-5283. Form I-129H: This form must be completed by the employer(s) sponsoring the applicant for the H3 Trainee Visa. Form I-797: This form is the application for the approval and validation of the petition put forth by an individual desiring to enter the United States; this form is a notice of action, and should be kept in a safe place. 2. Filing Location: United States Citizenship and Immigration Services Bureau explains that a recipient of the I-797 form should receive the form in 10 business days; the USCIS encourages individuals who do not receive their forms to contact the UCSIS for assistance. H-4 Visa: Family members of the applicant for the H3 Trainee Visa, which includes spouses and children under the age of 21, must apply for H-4 status. The parameters and protocols surrounding both the application and approval process vary in the case of every H3 Trainee Visa application; all government forms should be completed to the fullest extent in a meticulous fashion. In the event that an individual experiences difficulty completing – or understanding – the requirements of an immigration form, they are encouraged to consult an attorney specializing in immigration, employment, education, and international law.